Leading contemporary Israeli musicians performing their hits arranged to and accompanied by a classical orchestra. 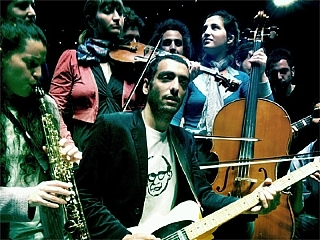 The 2010 band of the year, Hadag Nahash, was founded in Jerusalem in 1996. In its 15 years of existence it continually challenges itself and the Israeli audience in musical and textual layers. Amdursky has been creating music for over two decades and is always looking for ways to challenge and excite his audience. He is one of the most original and moving creators in the Israeli music scene.